What’s the Best Way to Invest $1? “I need a dollar, dollar; a dollar is what I need,” sings Aloe Blacc in one of those tunes I can never get out of my head. But really, what can a dollar get you these days? A bag of chips? A half-hour of parking? Not a whole lot. Or, at least that’s what most of us think. That’s why I loved a recent piece in The Morning News that asked two dozen people about the best way to invest a dollar. The article polled people in a variety of professions for their thoughts on investing a dollar — from a banker to a pastor — and the answers turned out as unique as the people themselves. I’ve included my favorites below, as well as responses from co-workers and friends. And now for responses from my friends and co-workers. “At a penny candy store, you can walk away with 100 pieces of candy in one shot… You can spread a lot of joy with it. You can put it out at your cube and people will stop by and take a piece, but also generate small conversations that might not be had in the office without the candy. Here at The Penny Hoarder, we firmly believe every dollar — and every penny — counts. And these answers prove you can invest in your future no matter how much money you have. 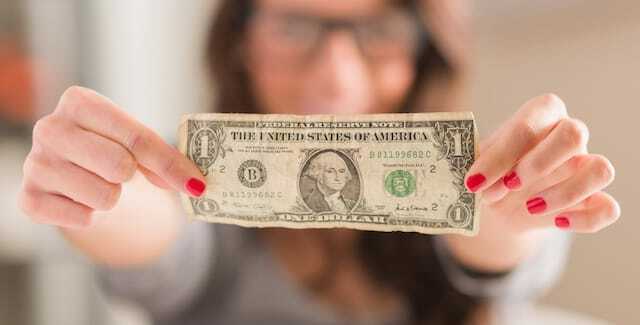 Your Turn: How would you invest a single dollar?